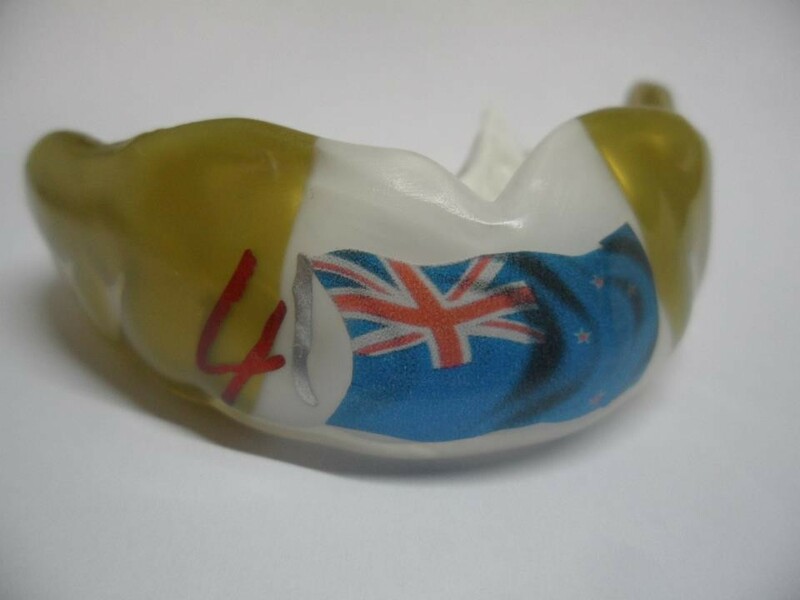 Renowned world, european and olympic champions have been trusting our expertise and their mouthguards for years, while reducing the risk of injuries in dangerous sports such as rugby, hockey and boxing by more than 98%. 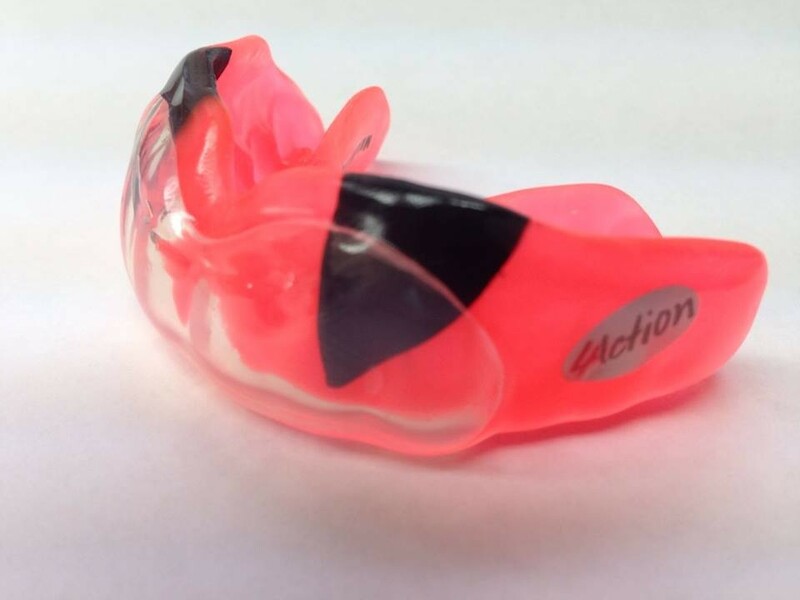 (Source: National Youth Sports Safety Foundation) Invest five minutes into professional care rather than having to undergo many hours of painful surgery at the orthodontics. 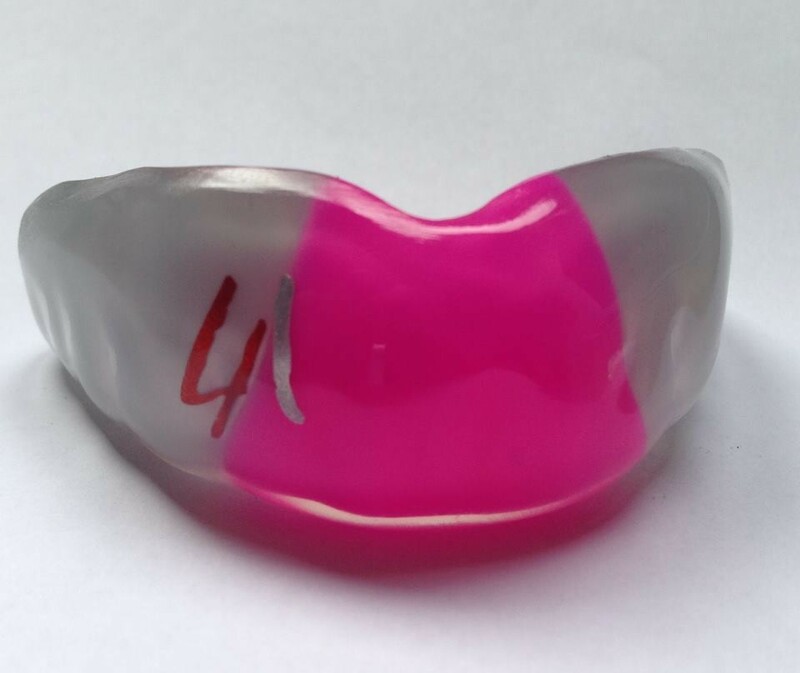 The mouthguard is custom-made in a dental laboratory after the dental print has been taken and is precisely matched to your dentition. 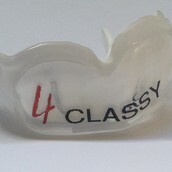 The mouthguard guarantees perfect fit, optimum support and maximum comfort. 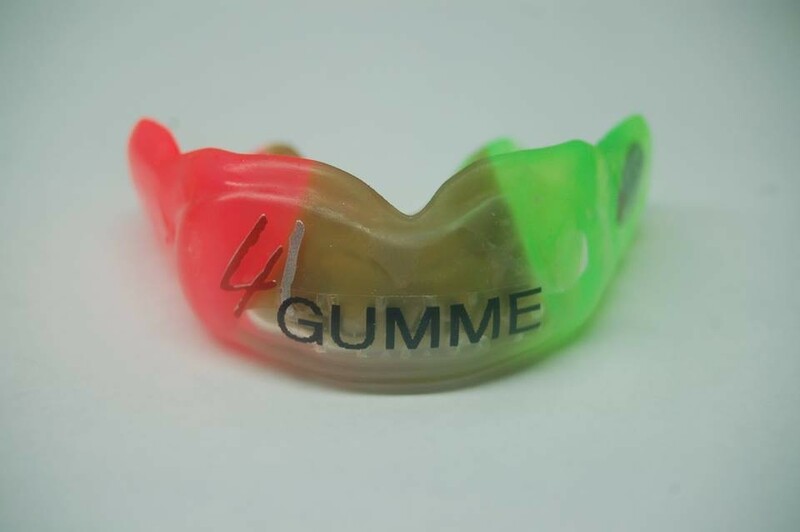 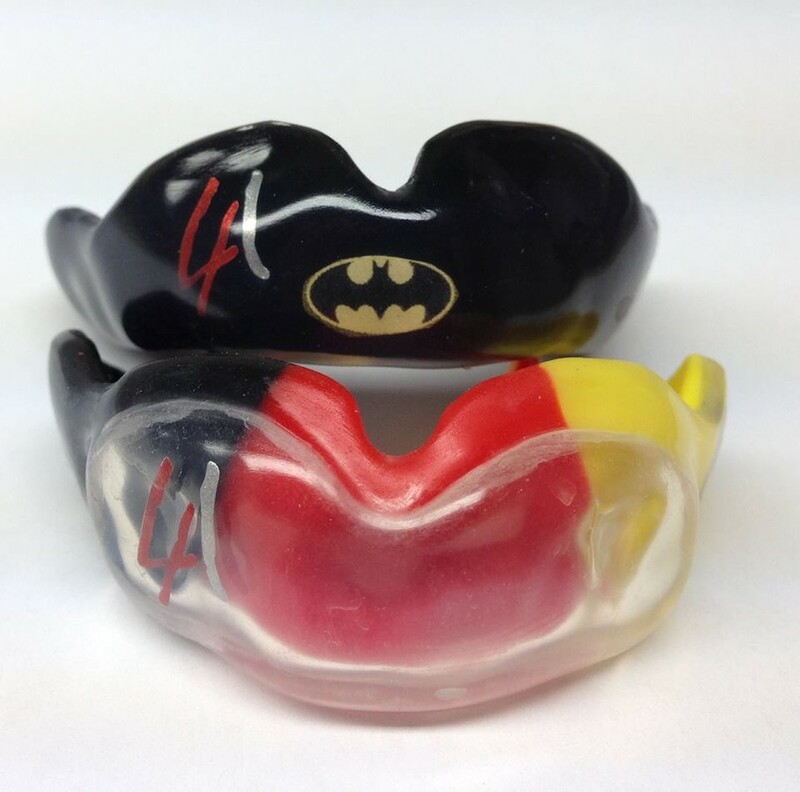 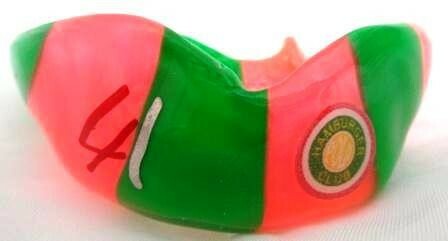 The athlete can easily recognize his or her mouthguard by its individual design or name plate, so any confusion becomes impossible. 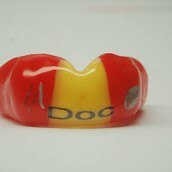 Visit us and let our consultants help you. 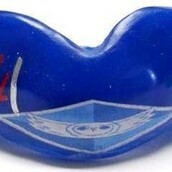 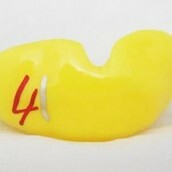 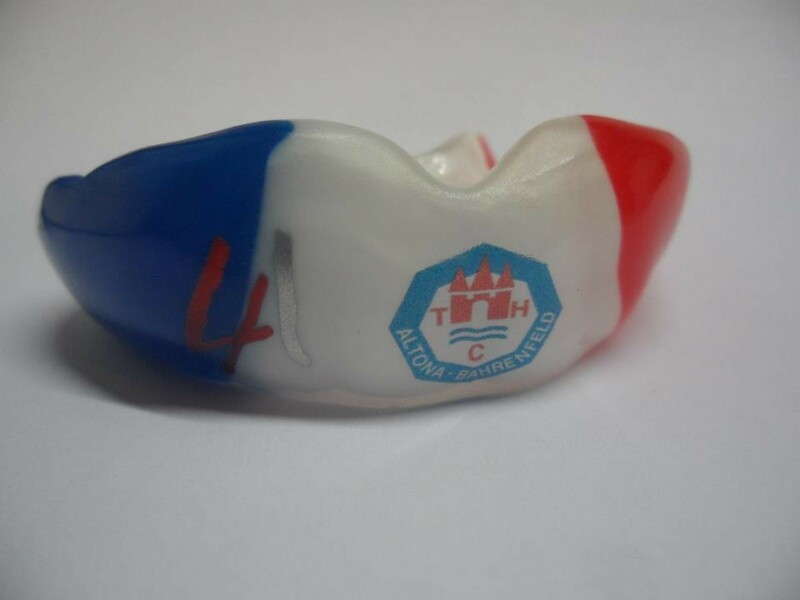 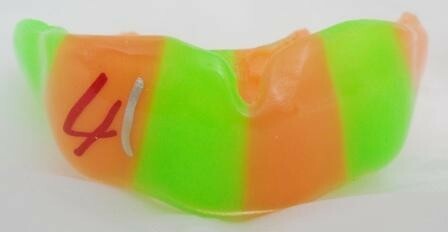 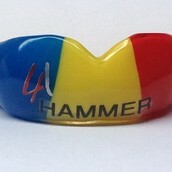 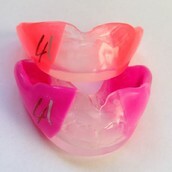 Together with you we produce and design your unique mouthguard. 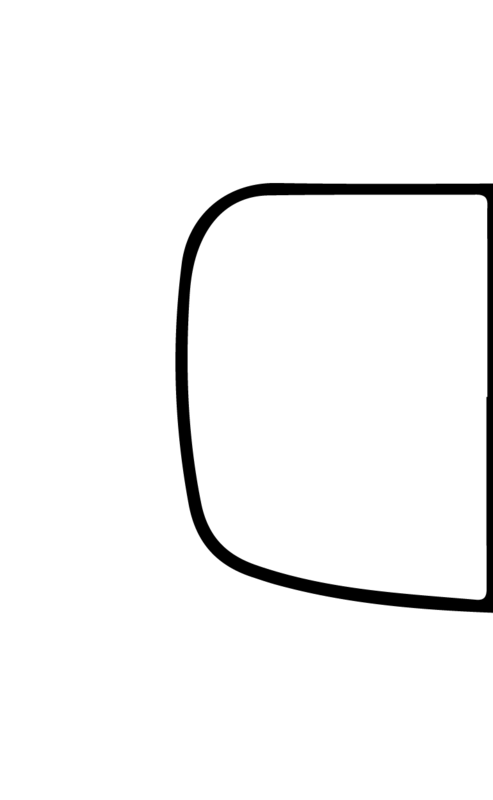 2-layered, with hard layer for types of sport where hard and small-area impacts are to be expected. 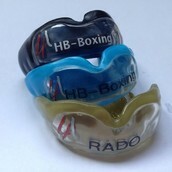 3-layered, for types of sport where very hard, flat impacts are to be expected. 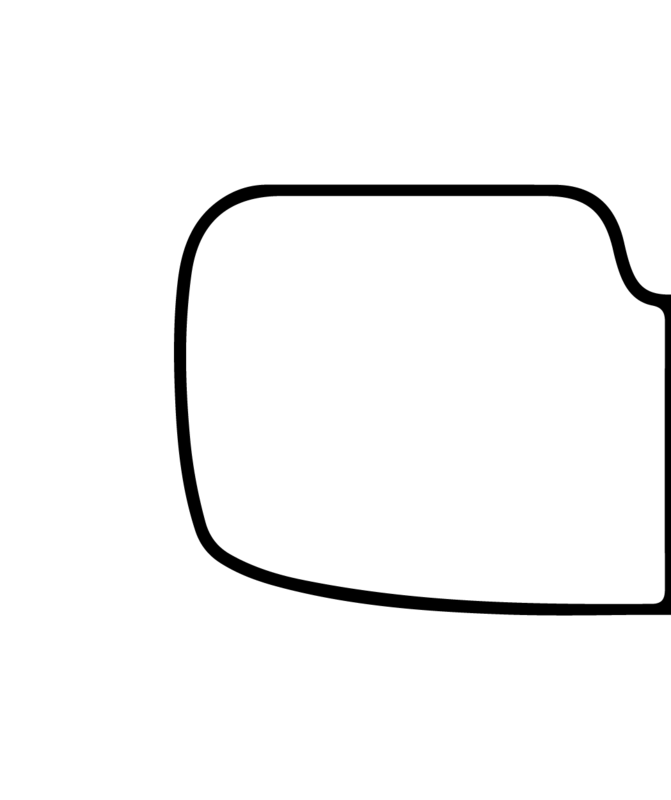 2-layered, for types of sport where flat impacts are to be expected. 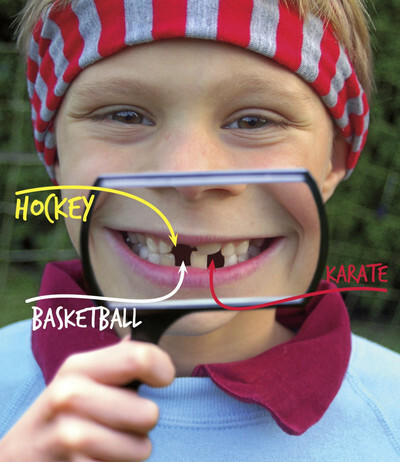 2-layered, recommended for children and young people up to 12 years. 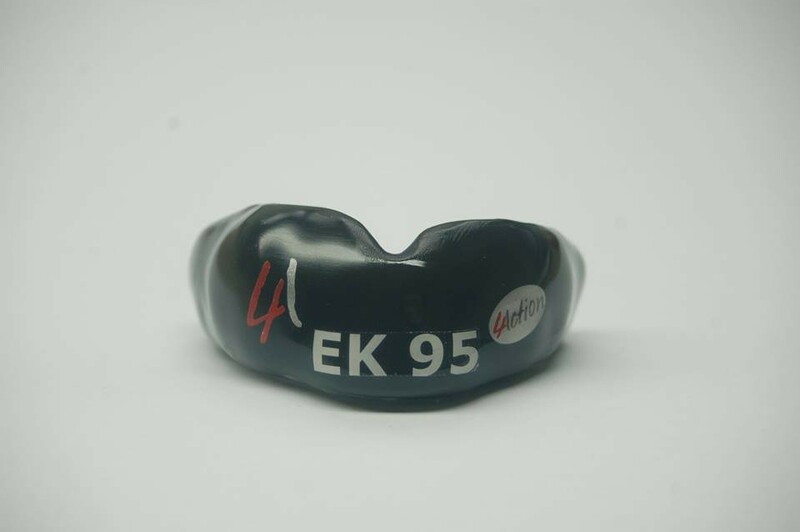 Thai boxers like Frank Otto, Peter Aerts, Till Görres, and many more. 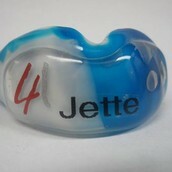 Handball players Jan Holpert, Jan Fegter, Roger Kjendalen, Chrischa Hannawald, and more. 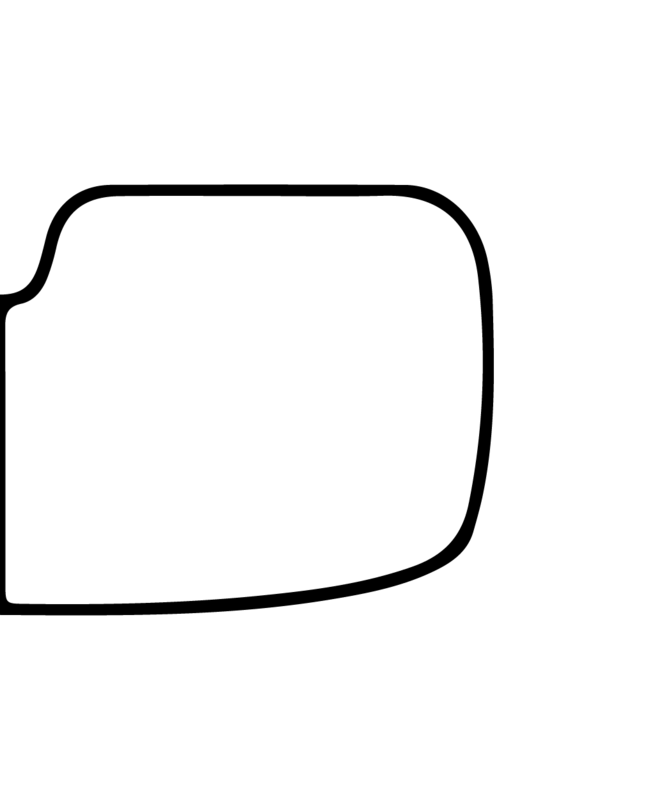 Select from the color fields below and drag the desired color to the desired position. 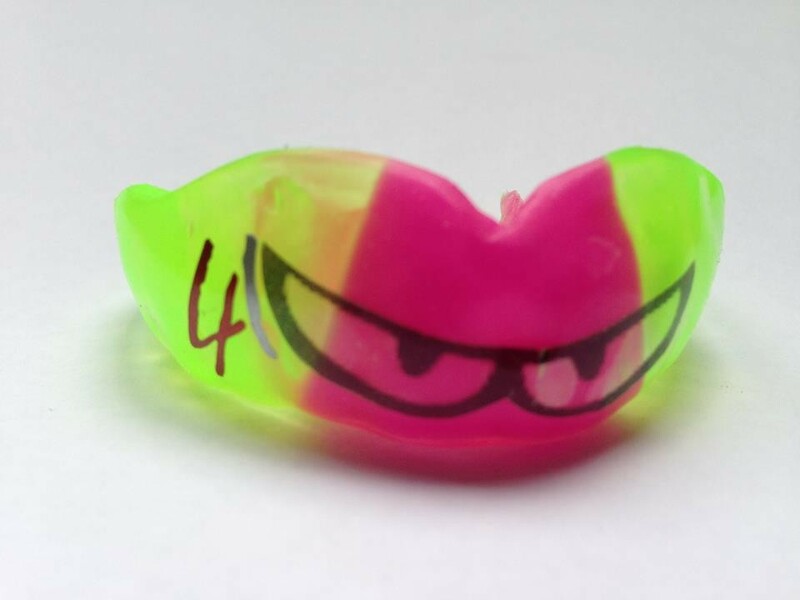 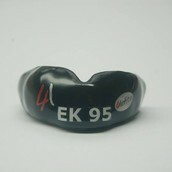 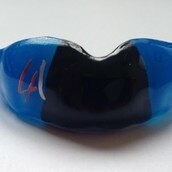 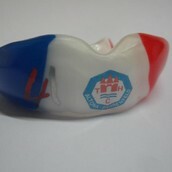 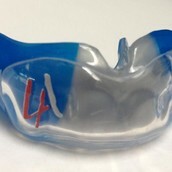 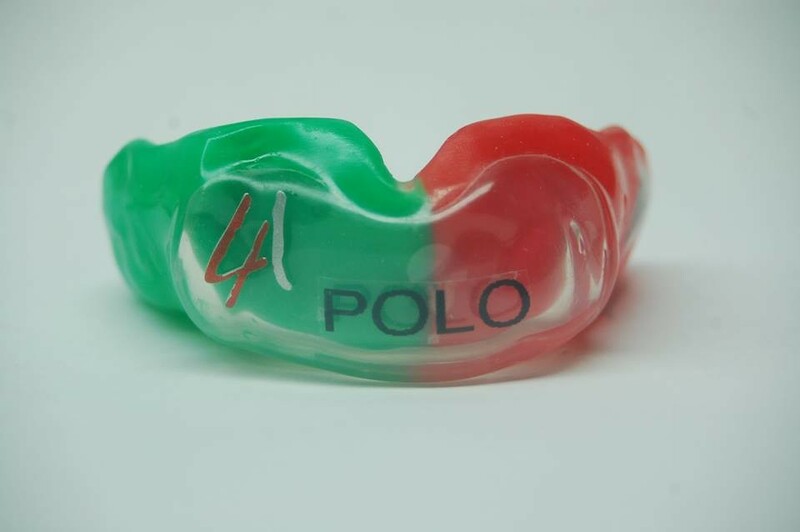 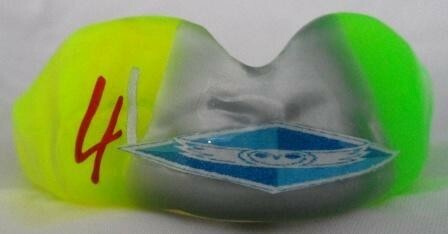 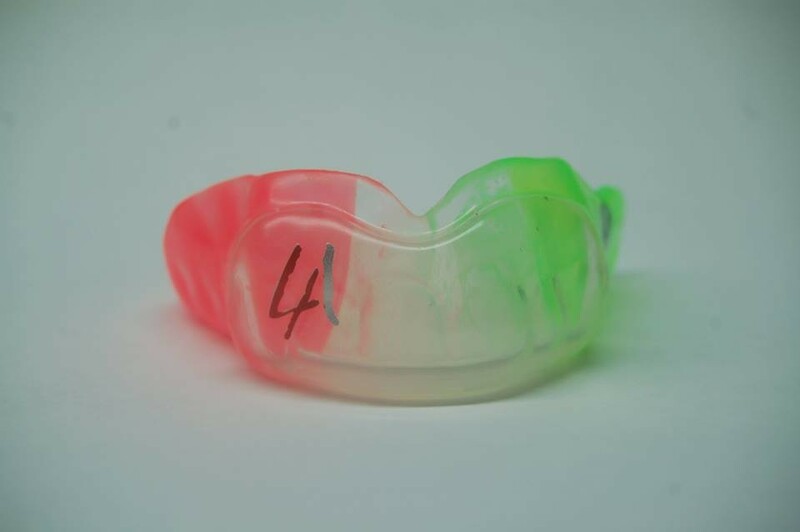 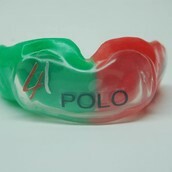 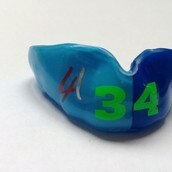 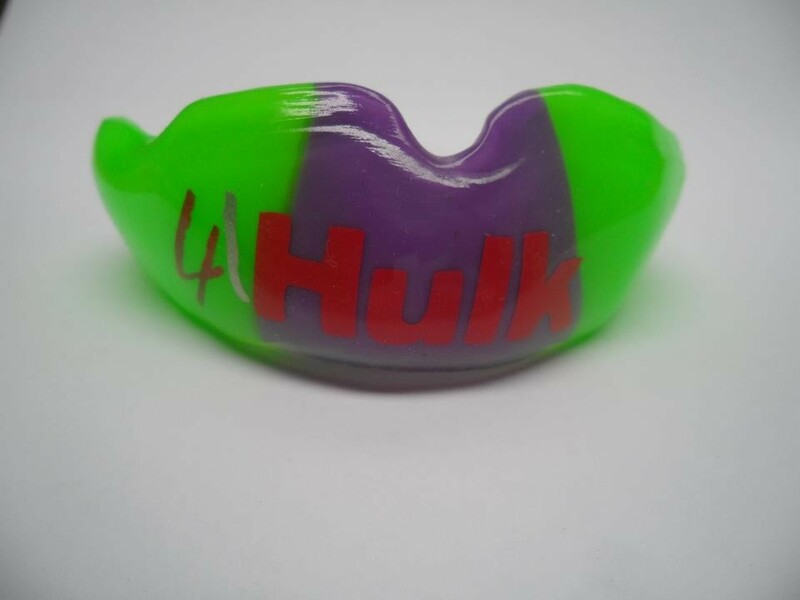 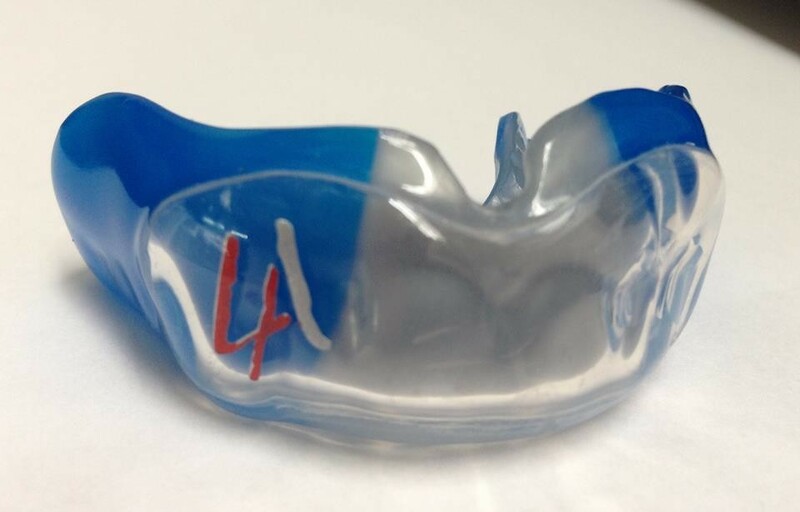 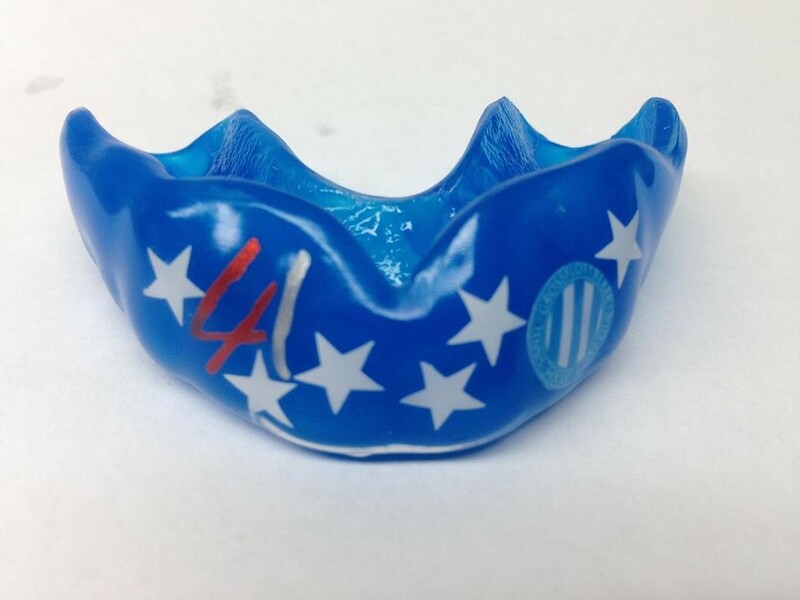 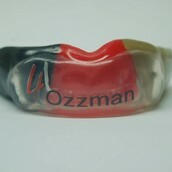 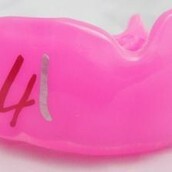 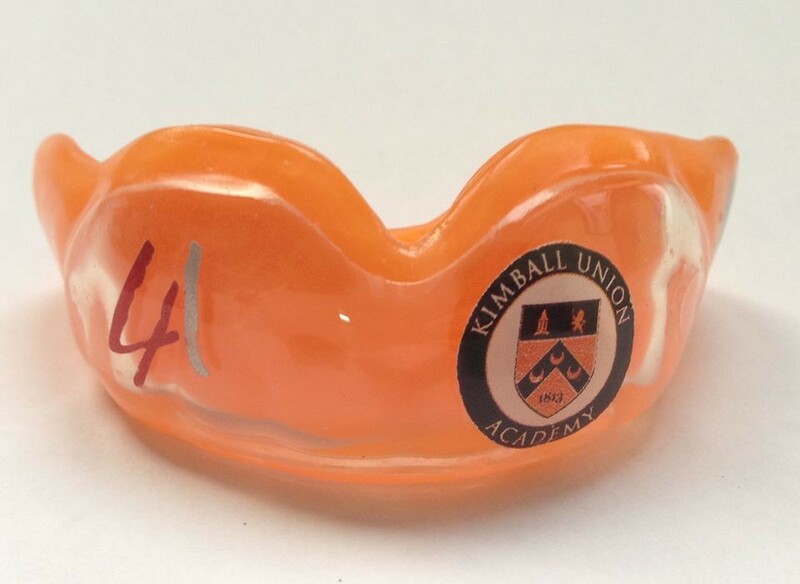 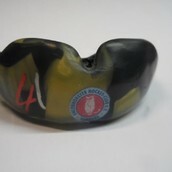 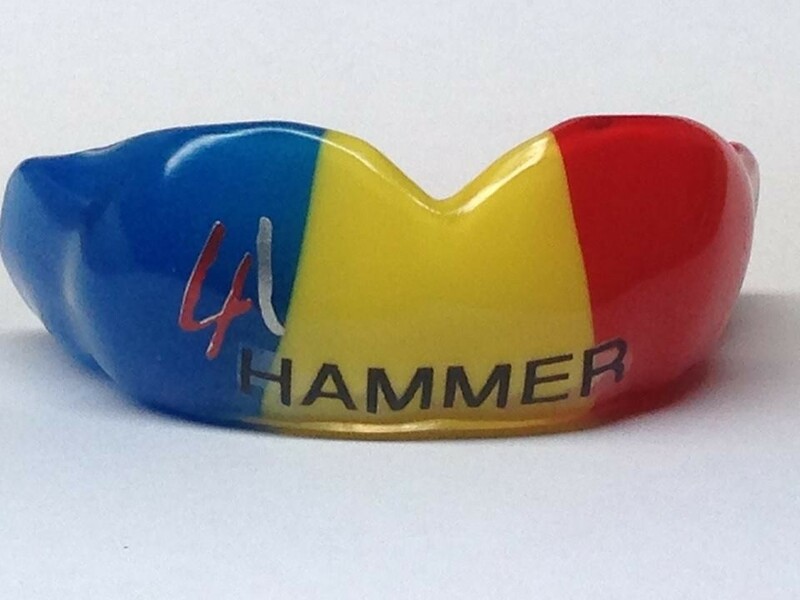 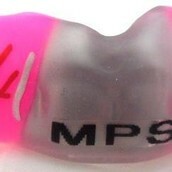 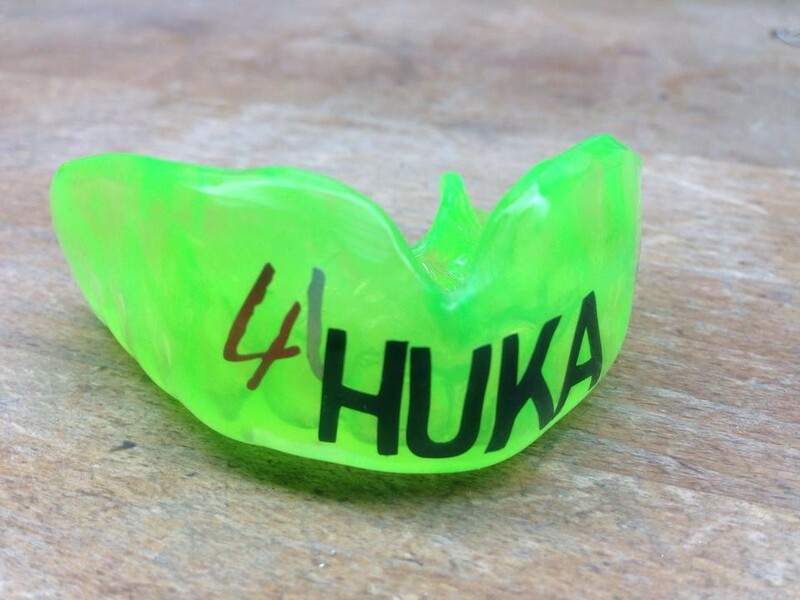 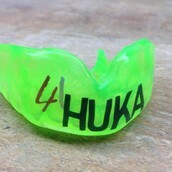 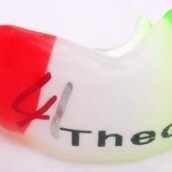 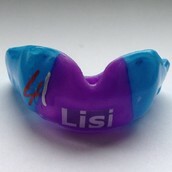 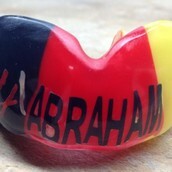 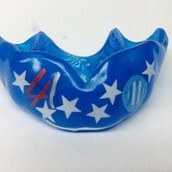 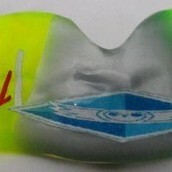 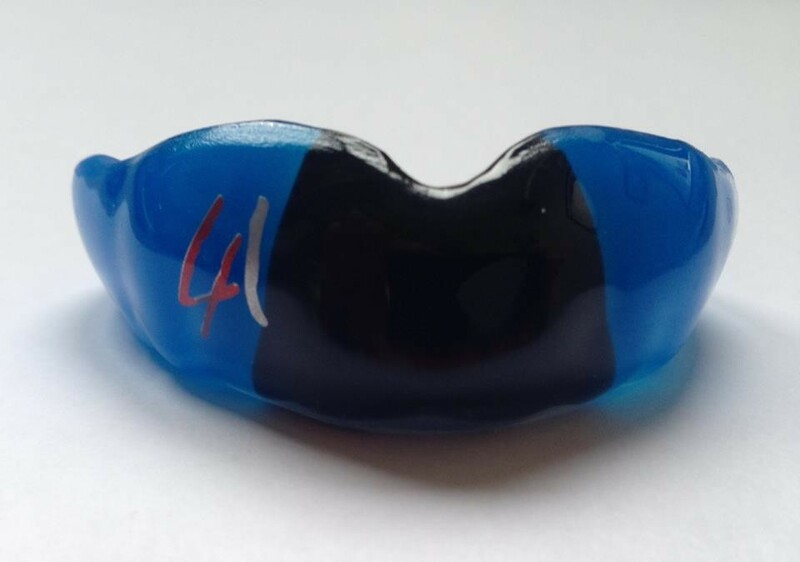 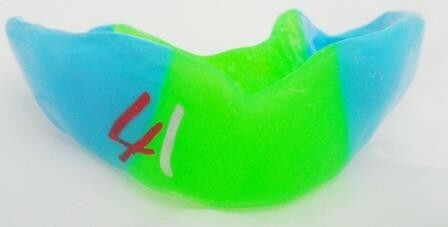 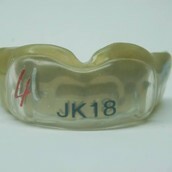 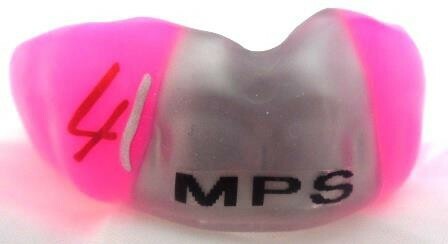 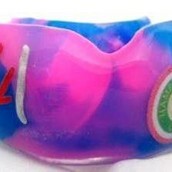 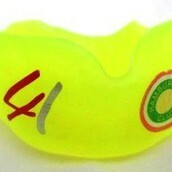 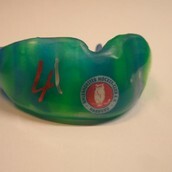 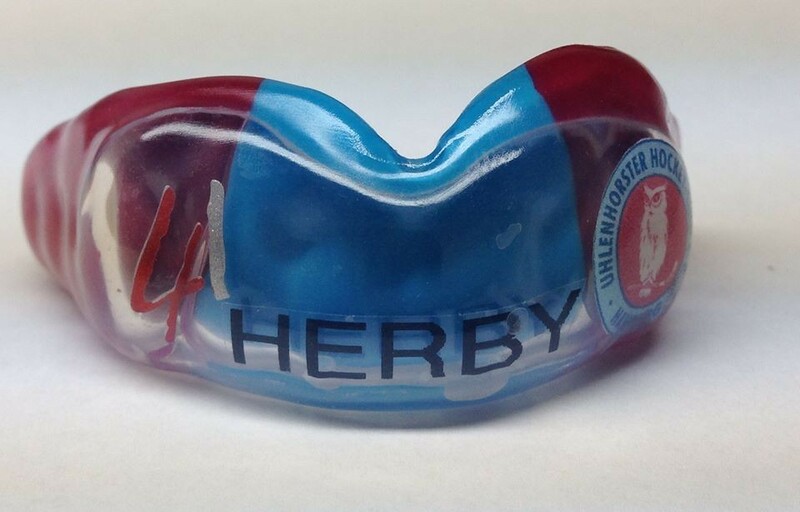 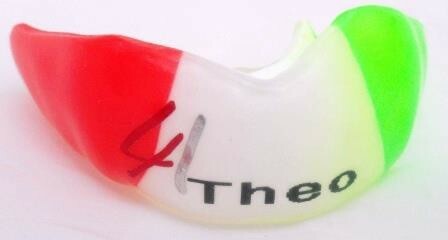 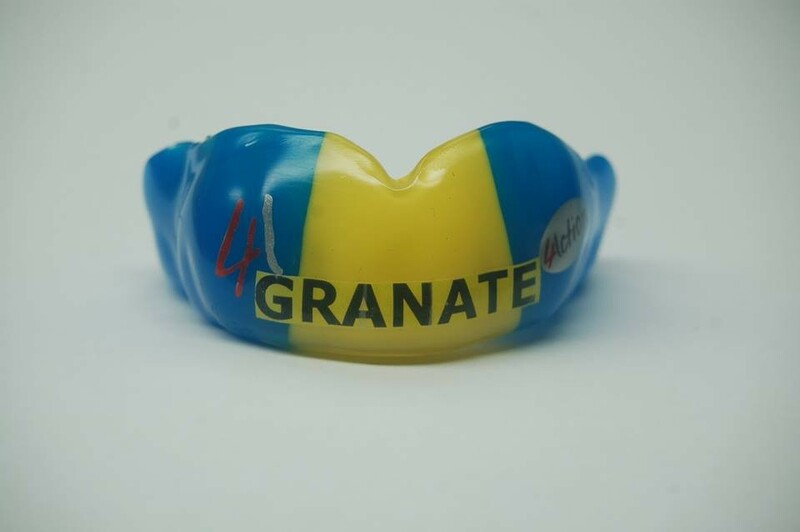 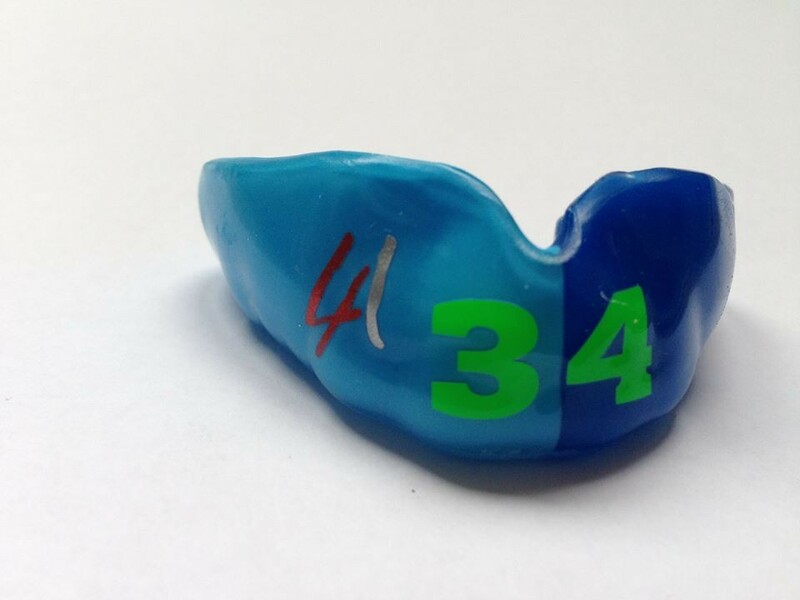 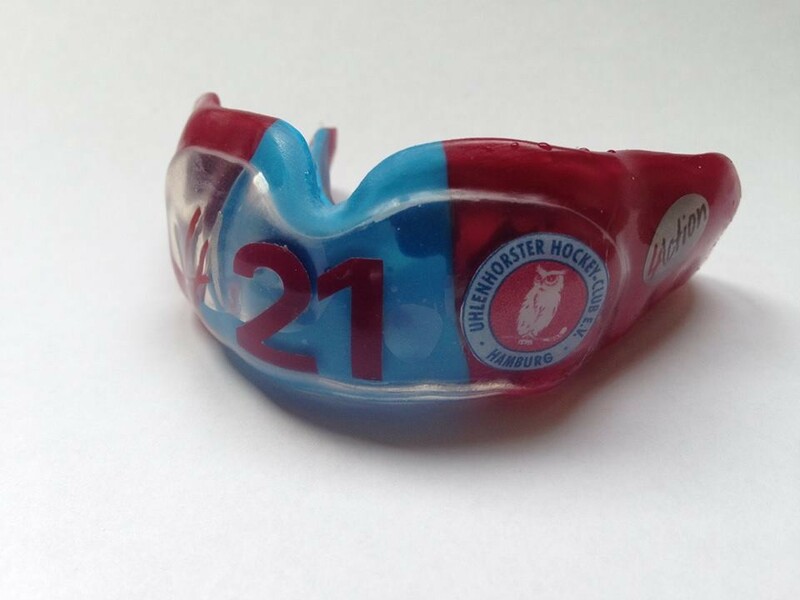 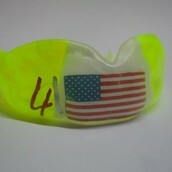 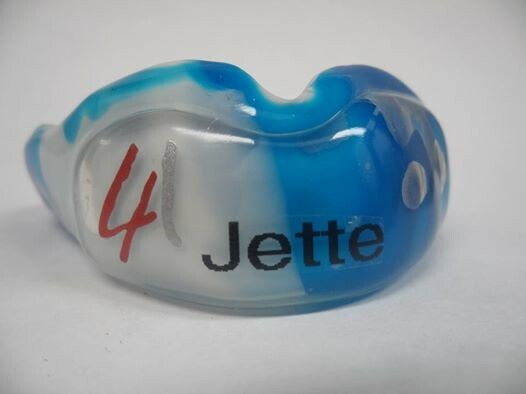 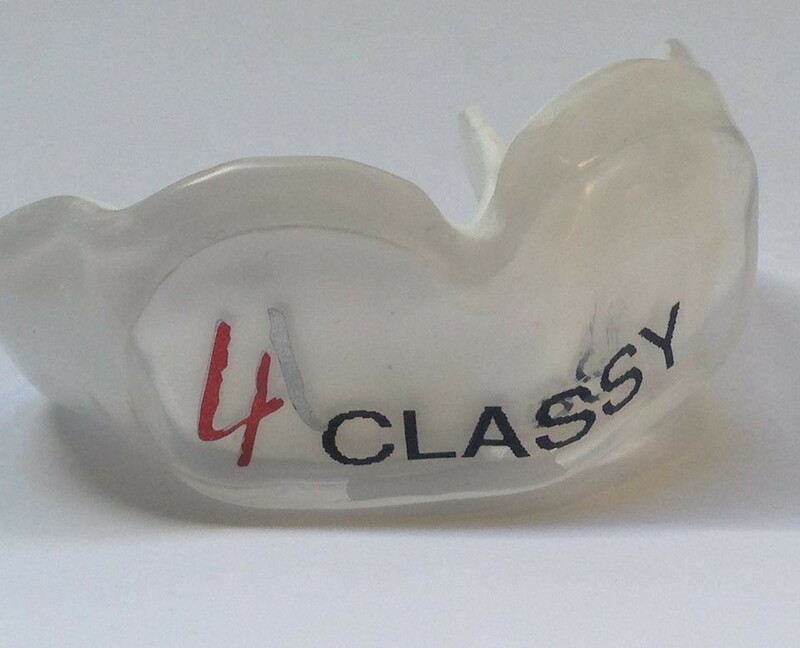 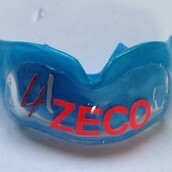 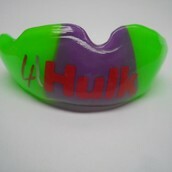 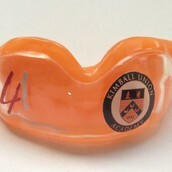 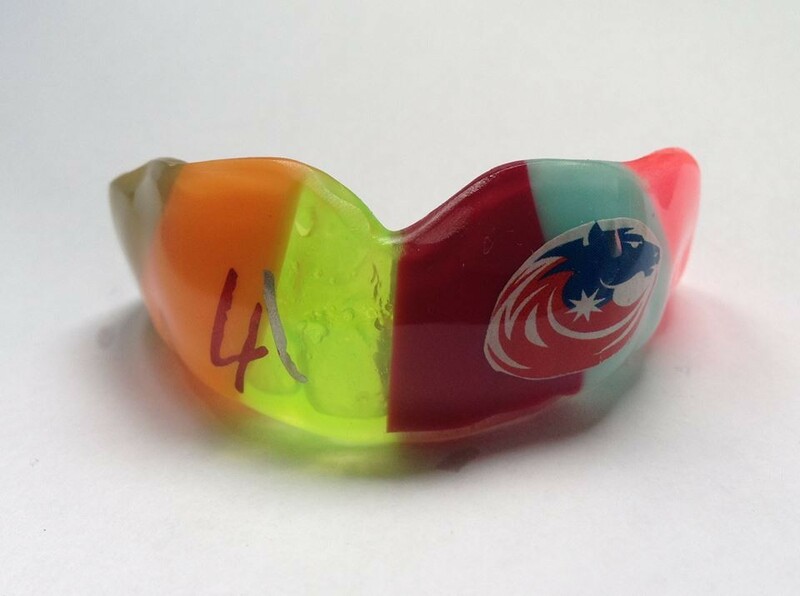 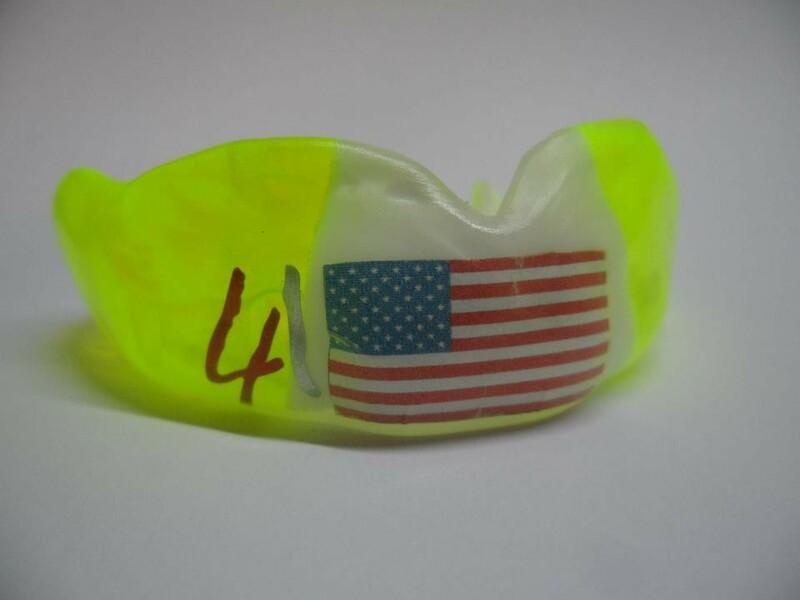 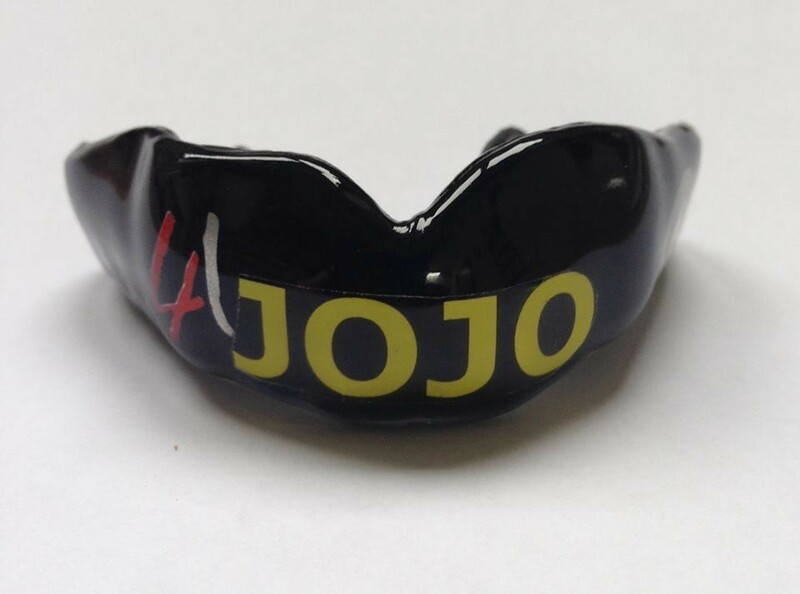 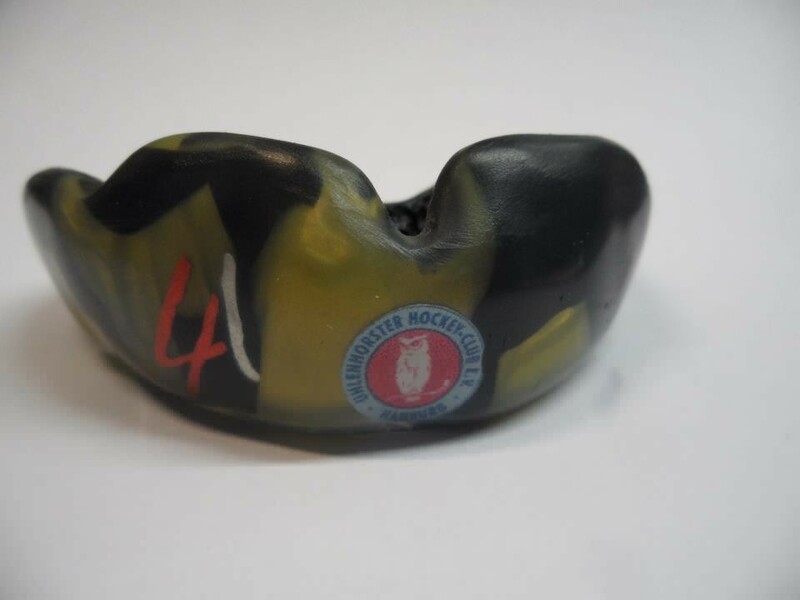 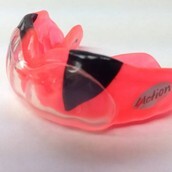 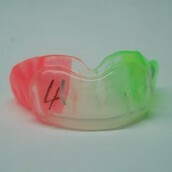 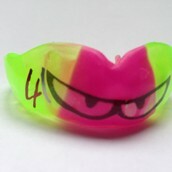 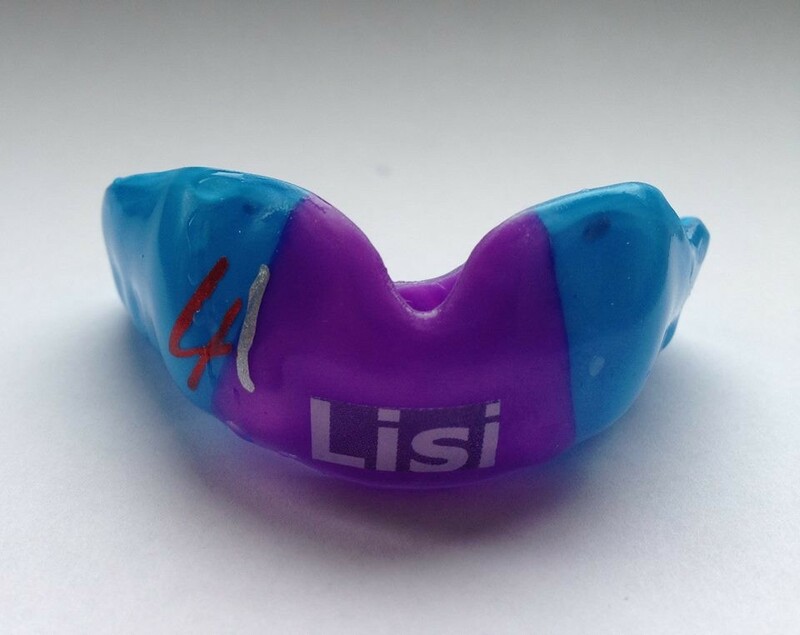 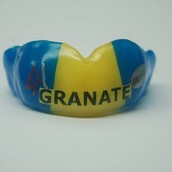 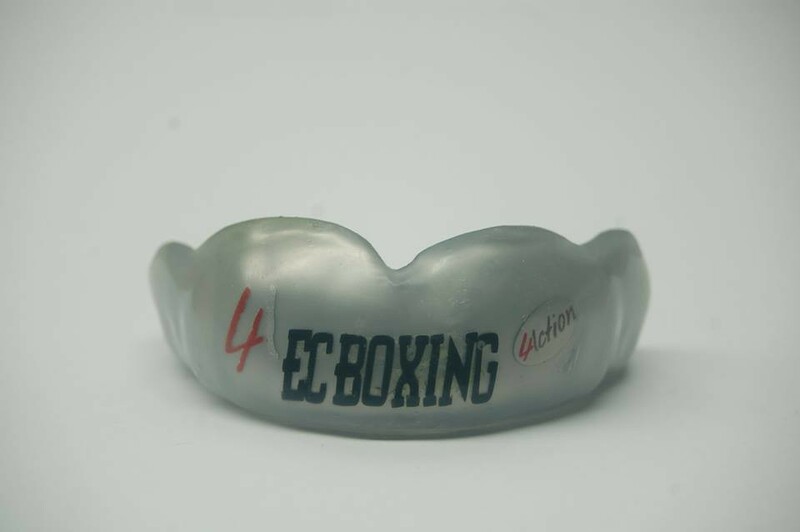 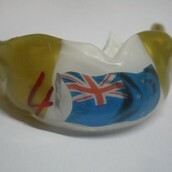 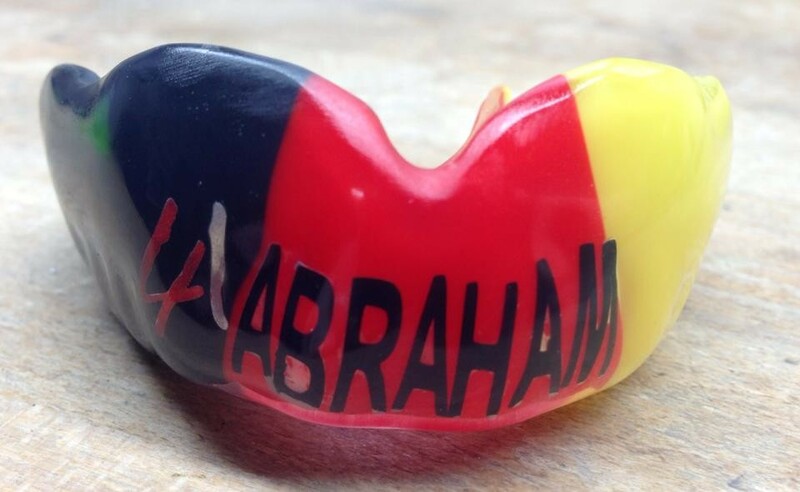 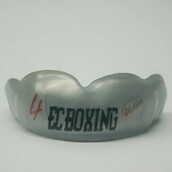 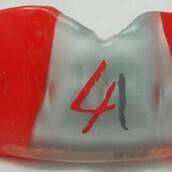 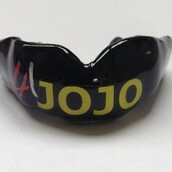 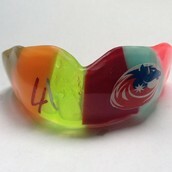 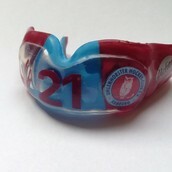 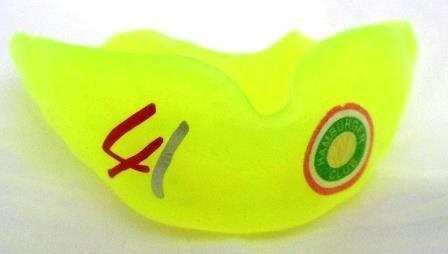 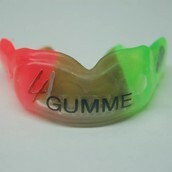 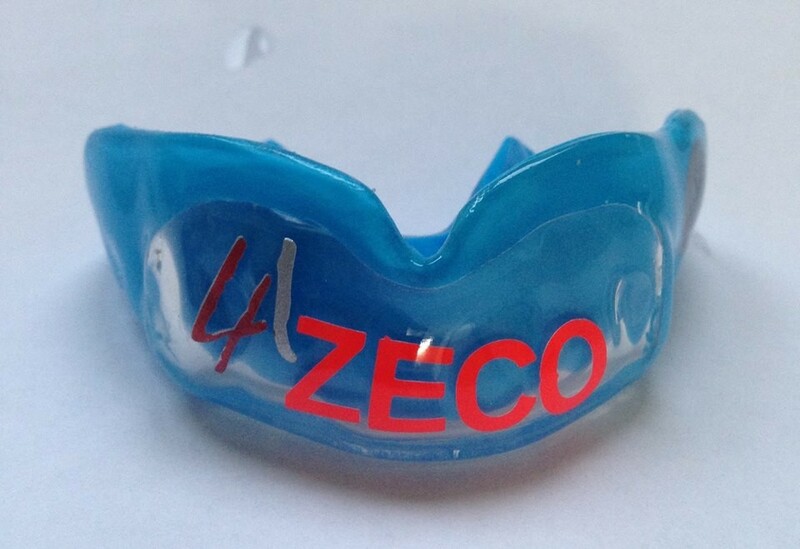 Ordering - Your personal lettering on your mouthguard for no additional costs! 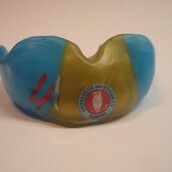 For ordering simply print out the current flyer, enter your data, choose a model, one or more colors, decide for a lettering. 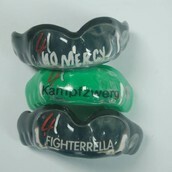 Then send it by mail or e-mail directly to us or give it to one of our partners. 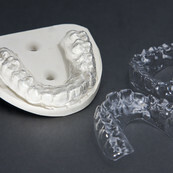 Then a print of your denture has to be produced. 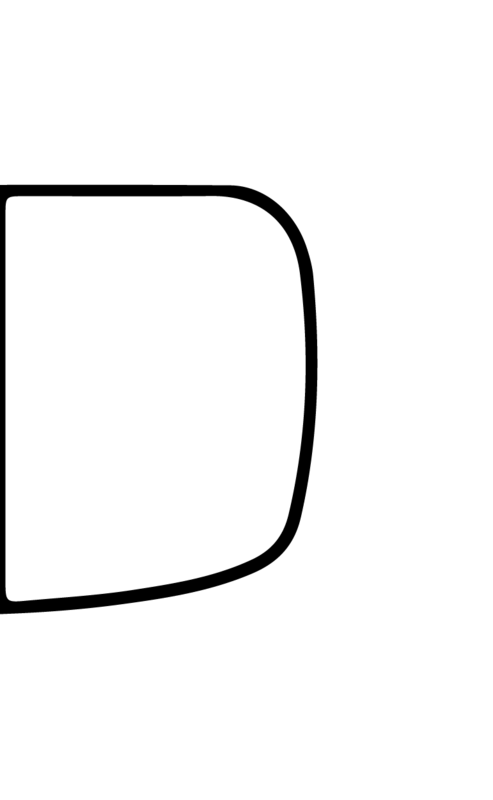 And, done! 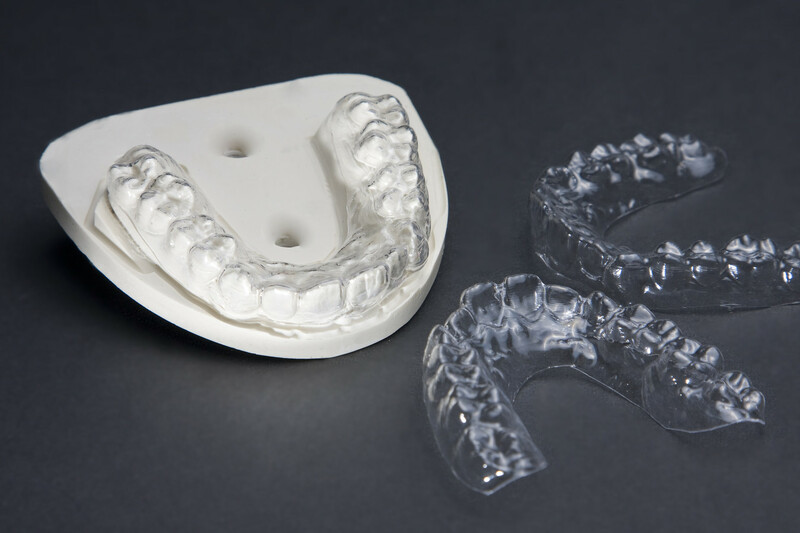 With our expertise, you receive consultation on the DocSnoreNix® protrusion braces and we gladly take the necessary dental print to ensure that your snoring is going to stop. 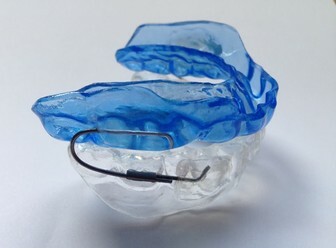 The DocSnoreNix® protrusion braces move the lower jaw into a physiologically forward position. 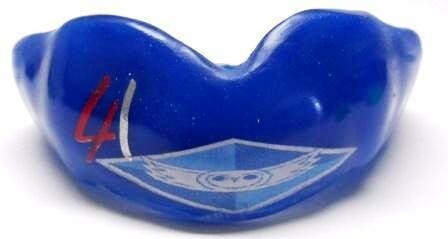 This prevents the tongue from falling back into the throat and reduces snoring by up to 100%. 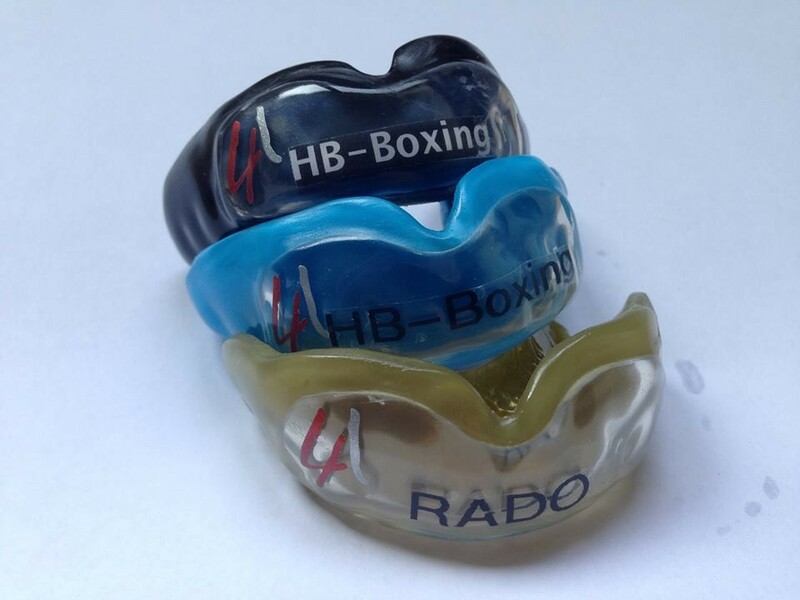 You no longer have to wear uncomfortable and unsightly braces. 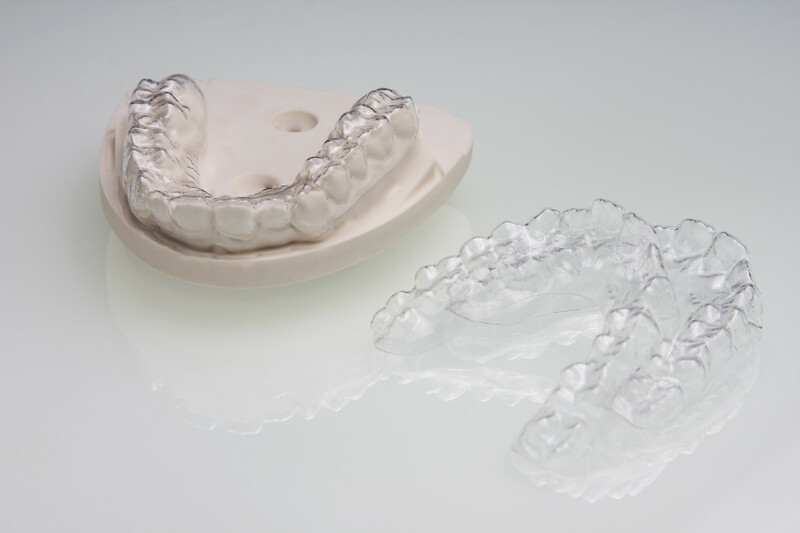 invisible tooth correction offers you an innovative technique of invisible tooth correction. 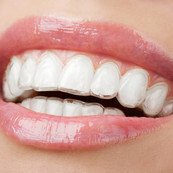 With the help of practically invisible braces teeth are brought into the desired position. 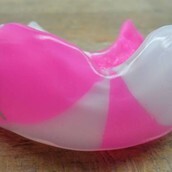 In addition you enjoy shorter treatment times. 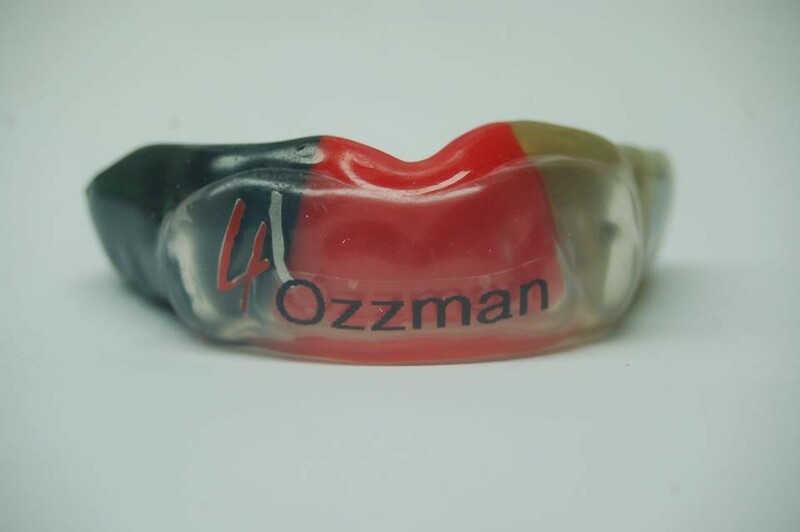 You will get braces that you can change on your own. 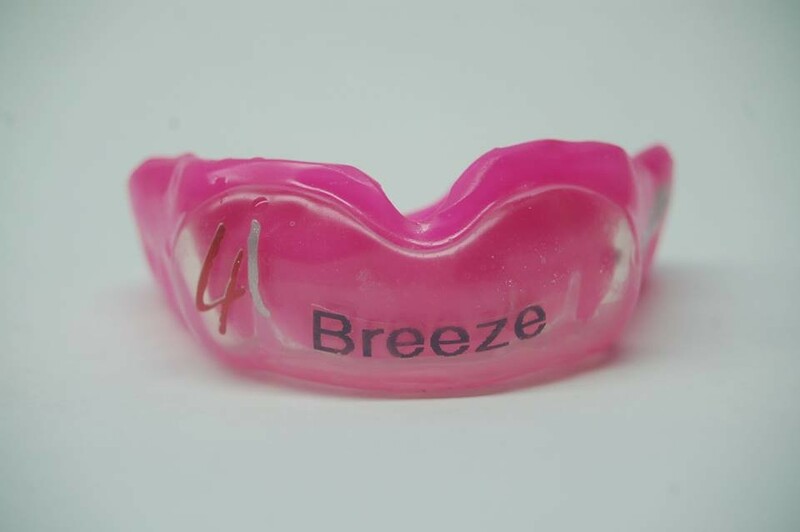 This eliminates unnecessary appointments and provides time-saving treatment. 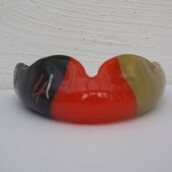 The entire treatment is painless and comfortable. 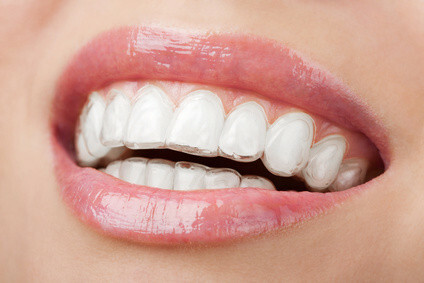 If you want a smile that will change your appearance, then invisible tooth correction is just perfect for you. 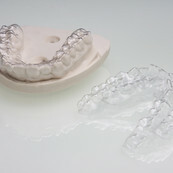 Tailor-made braces will change your smile and barely affect your everyday life. 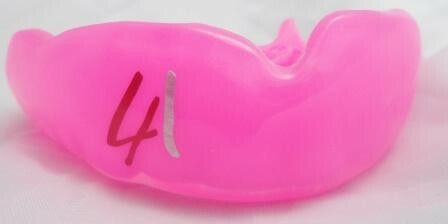 Is there a minimum age to apply invisible tooth correction? 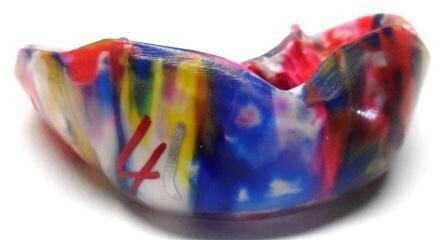 Typically, with invisible tooth correction, tooth deficiencies can be corrected in the majority of adults and adolescents. 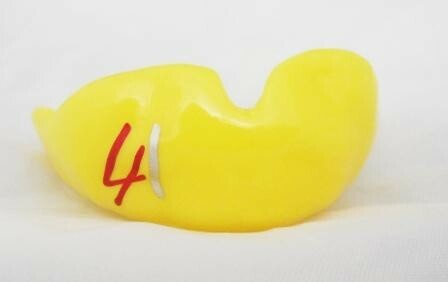 However you should be at least 18 years old. 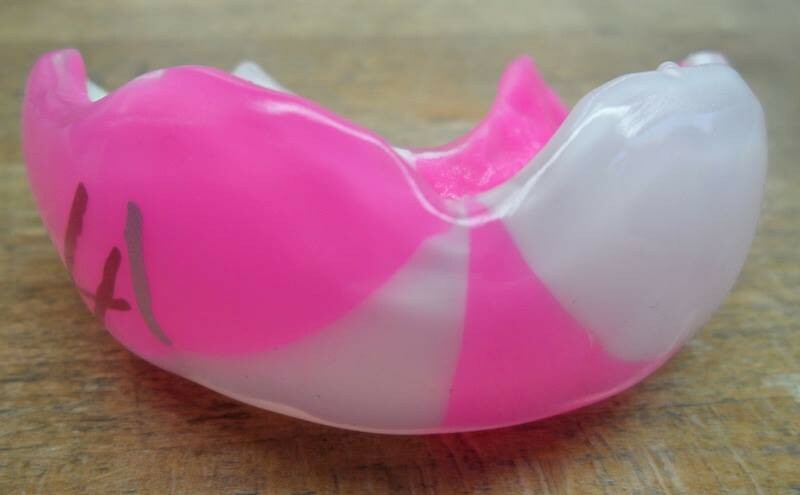 When should invisible tooth correction not be applied? 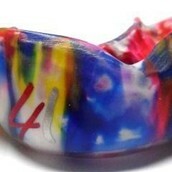 Only your dentist will be able to determine if you can use the invisible tooth correction. 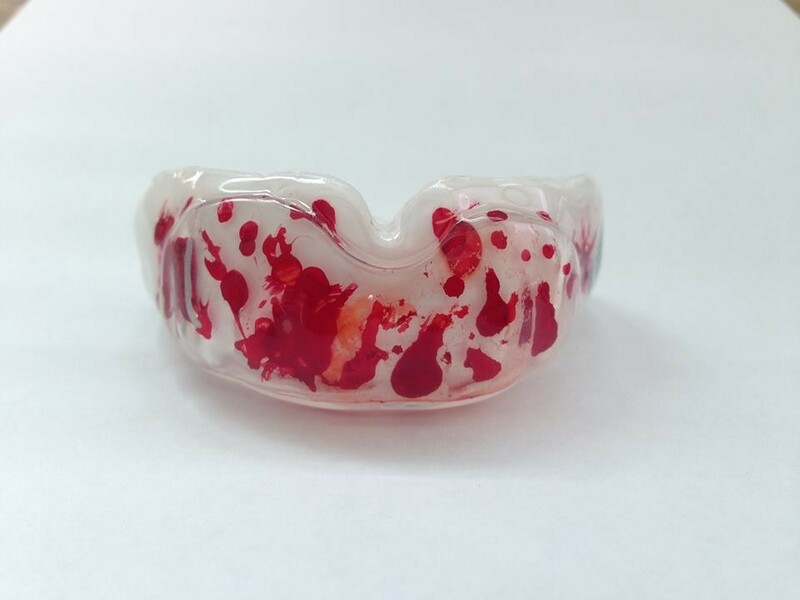 Does this method work with an overbite? 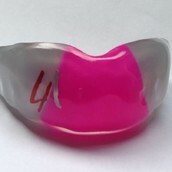 An experienced invisible tooth correction handler can also correct an overbite in most cases. 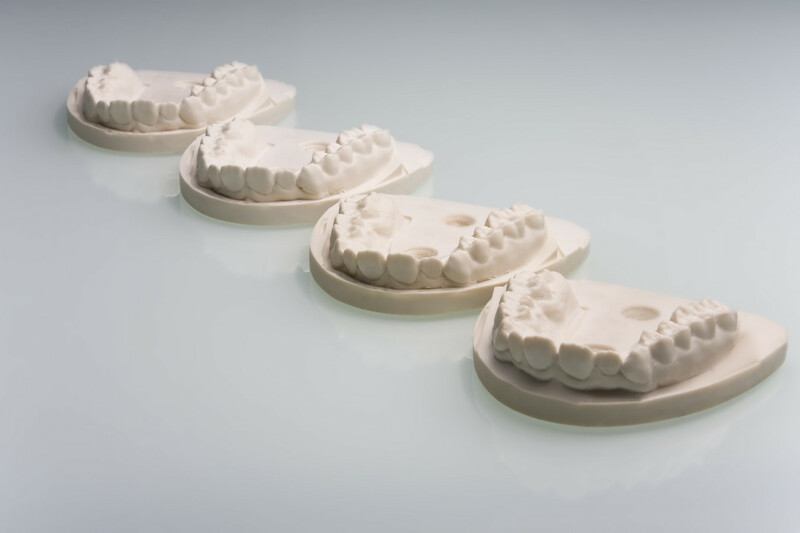 Can I use invisible tooth correction despite having dental crowns? 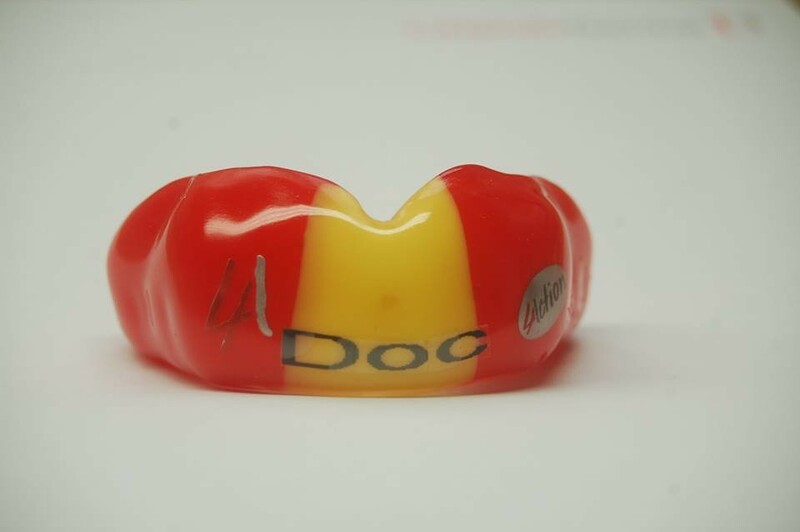 Typically, single crowns do not affect the treatment with invisible tooth correction. 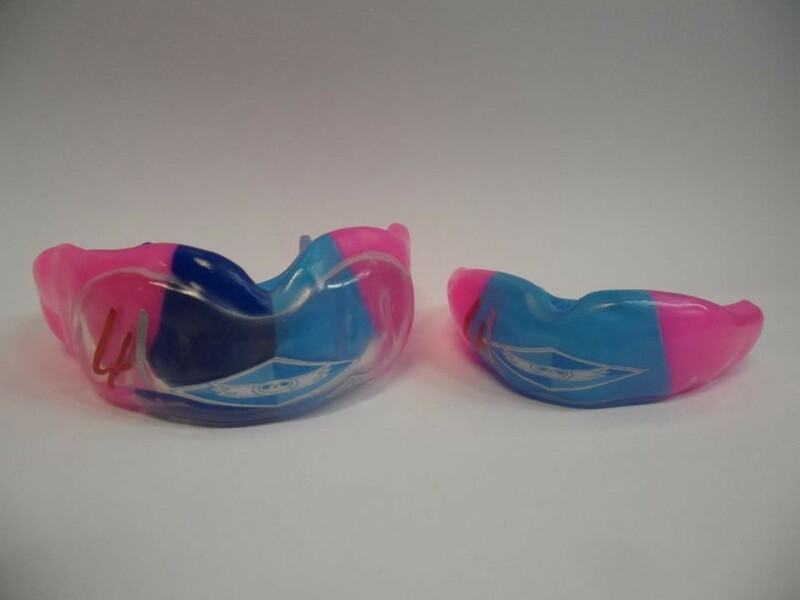 Can I usw invisible tooth correction despite having bridges? 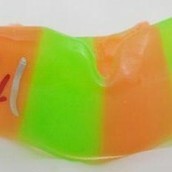 Bridges connect two or more teeth together and therefore constitute a considerable resistance to tooth regulation. 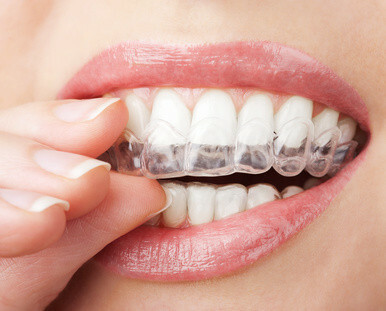 In this case, your practitioner must carefully evaluate whether you are suitable for a invisible tooth correction treatment. 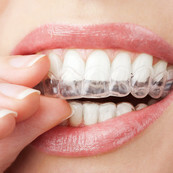 Do I have to wear a retainer after my invisible tooth correction? 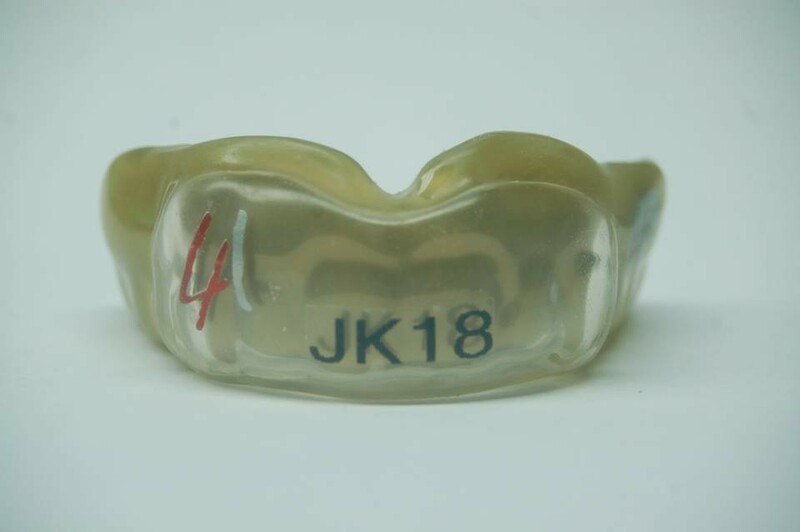 A retainer is necessary after every orthodontic treatment. 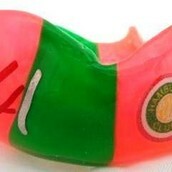 You should wear the retainer according to your dentist's or orthodontist's instructions. 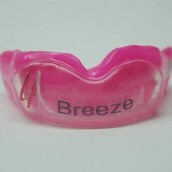 The invisible tooth correction braces can be used as a temporary retainer in many cases. 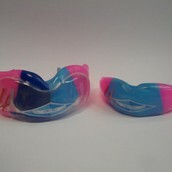 Your dentist will help to provide you with information about other retainer options. 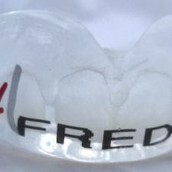 After having used a fixed brace can displaced teeth still be corrected by a invisible tooth correction? 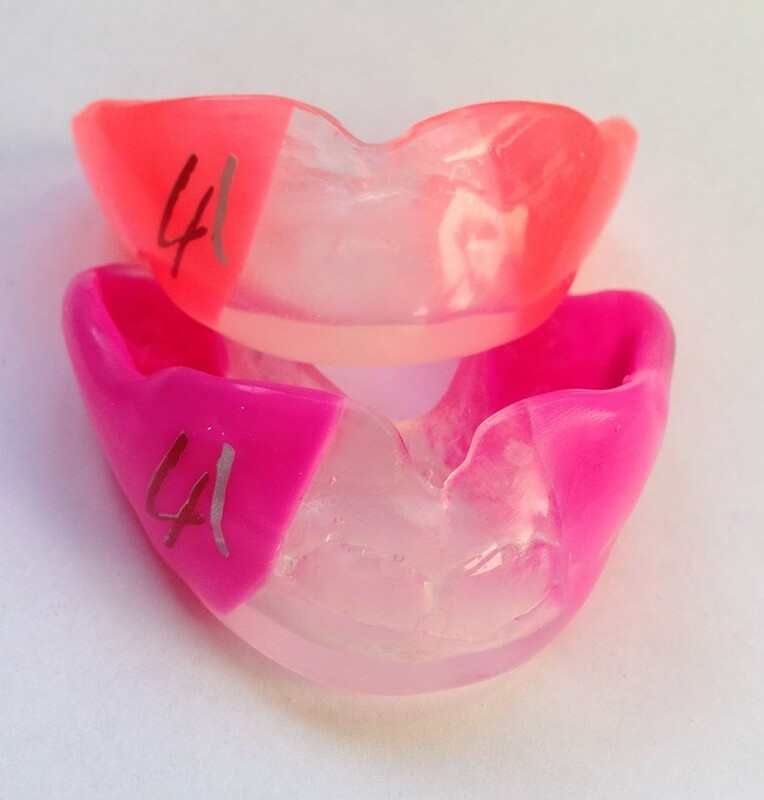 Many invisible tooth correction patients already had a treatment with a fixed brace before. 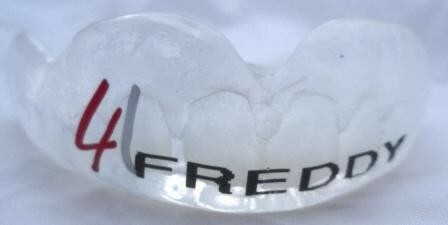 A new displacement of these teeth can usually be restored with a invisible tooth correction. 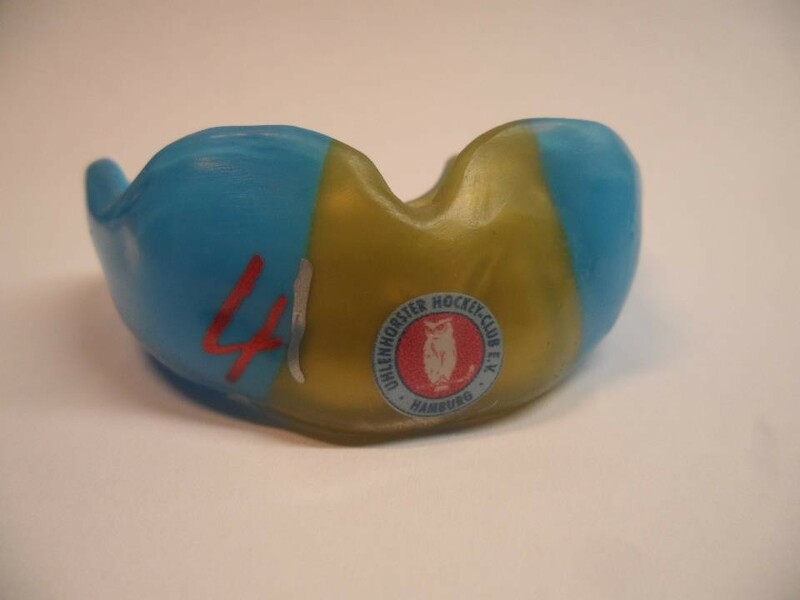 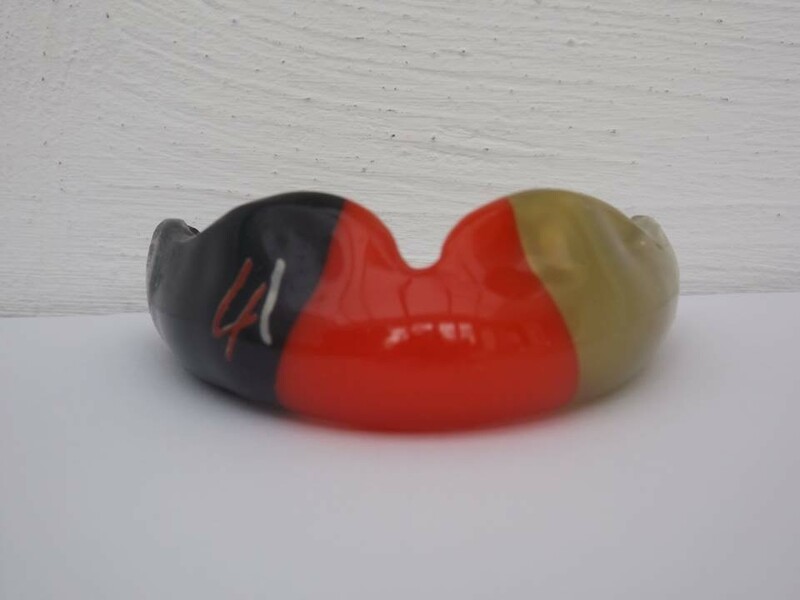 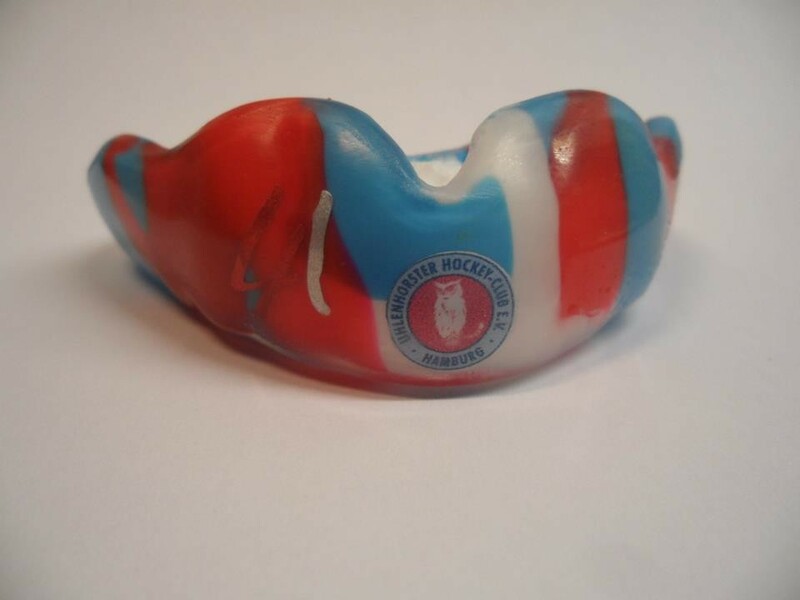 If you do not live close to one of the practices in Hamburg or Munich, you can also have your dentition printed in one of our partner practices, because the quality of the print is extremely important for the production of a mouthguard. 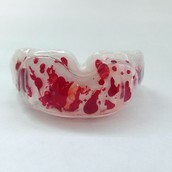 The prints influence the fit, the wearing comfort and the safety features. 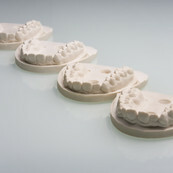 Our partner practices are familiar with all details of the procedure. 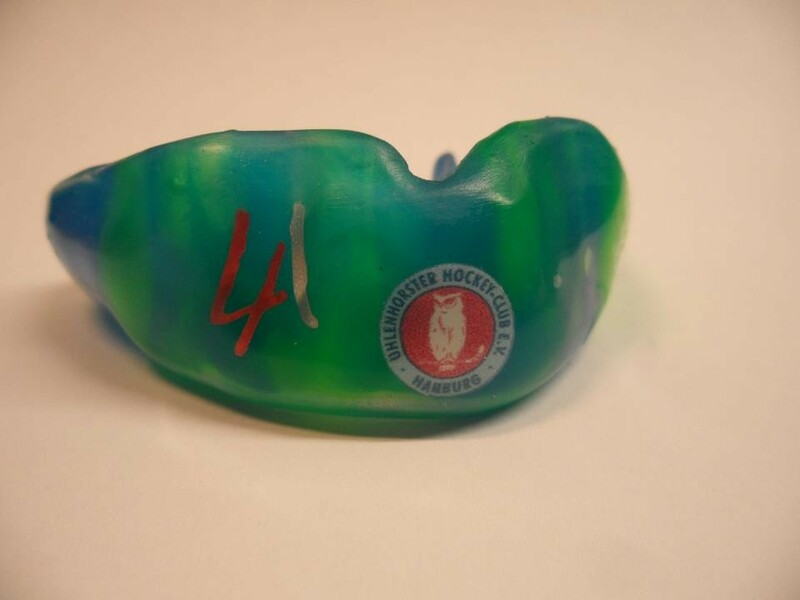 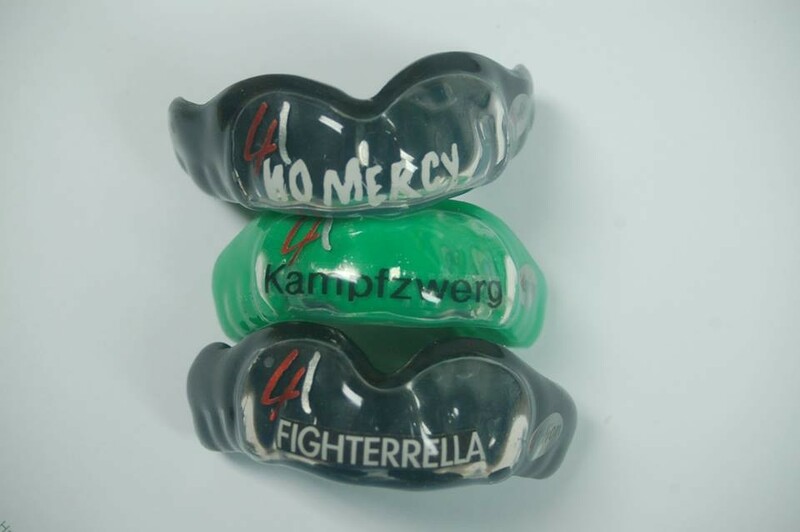 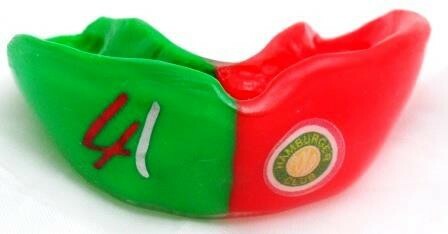 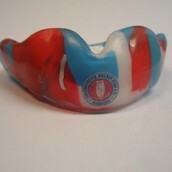 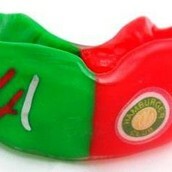 The AOK Bremen & Bremerhaven takes over 80% of costs of a 4Action mouthguard. 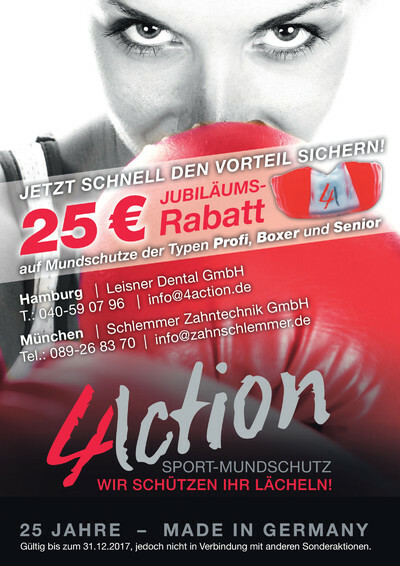 Further information can be found in the attached AOK flyer.